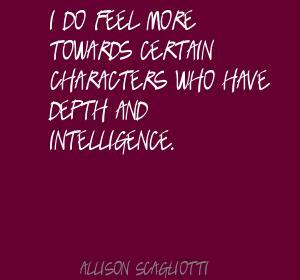 See the gallery for quotes by Allison Scagliotti. You can to use those 8 images of quotes as a desktop wallpapers. I've been really lucky to play sort of a diverse array of characters over my relatively short career, although it feels really long.